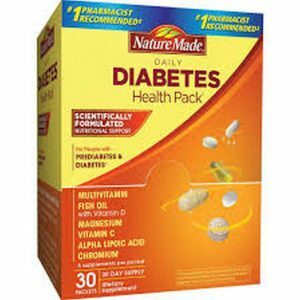 Nature Made® Diabetes Health Pack is promoted to support individuals who have prediabetes and diabetes. According to the manufacturer, Nature Made® Diabetes Health Pack is formulated with minerals and vitamins to provide nutritional support and contains Omega-3 to support the hearts health. 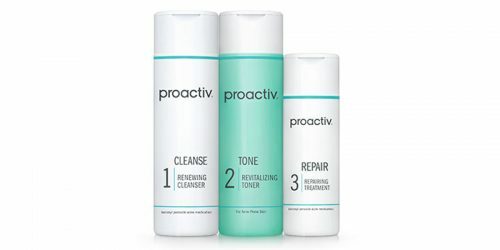 Take the contents of one packet daily, with a meal. For easier swallowing, take with water before and during ingestion. Nature Made® Diabetes Health Pack contains Fish Oil, Vitamin C, Chromium, Magnesium and Alpha Lipoic Acid in its formula. There are six supplements per pack and one pack should be taken daily.